Trilobite is Kitbots new Beetleweight Brick/Wedge Kit. Designed as an entry level bot to give newcomers to the sport a way of building a competive machine without the complexities and expense of an active weapon. Building on the technology developed for the Weta Drum Beetle kits, Trilobite use 3/8" UHMW main rails combined with watercut 7075 Aluminium panels and mini nutstrip to construct a rigid and very tough base chassis. 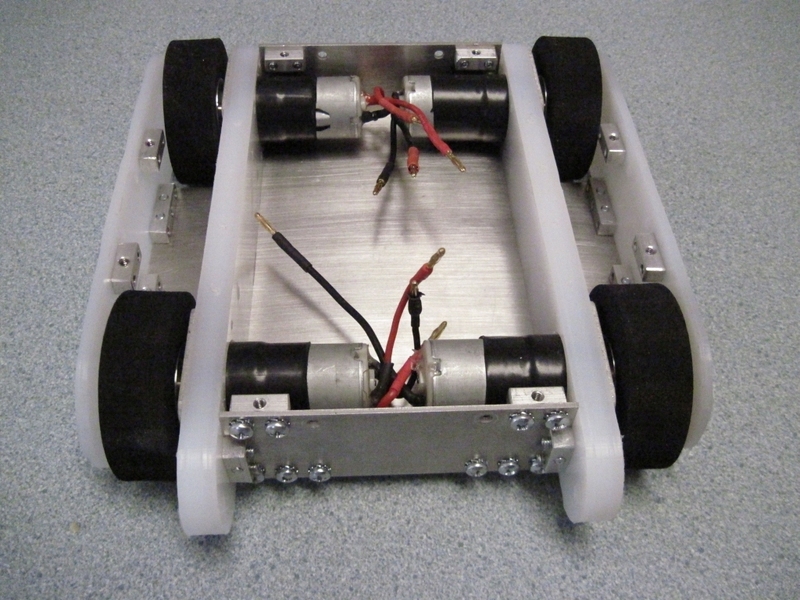 Drive is provided by four 1000rpm Motors, 2.25" Liteflight Wheels powered by a 4S LiPo Battery. 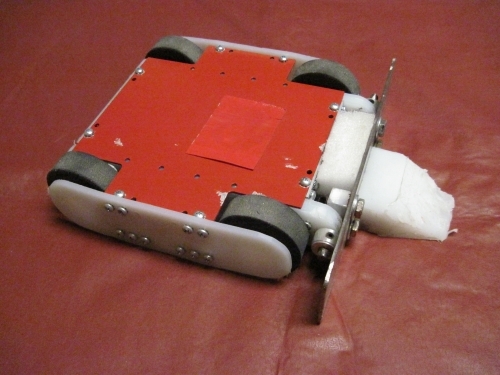 The wheels are well protected by UHMW side armor but exposed at the rear so as to ensure they can always get a grip and reduce the chance of the bot getting trapped. A wedge can be securely attached to the front of the bot using a 1/4" Titanium axle. 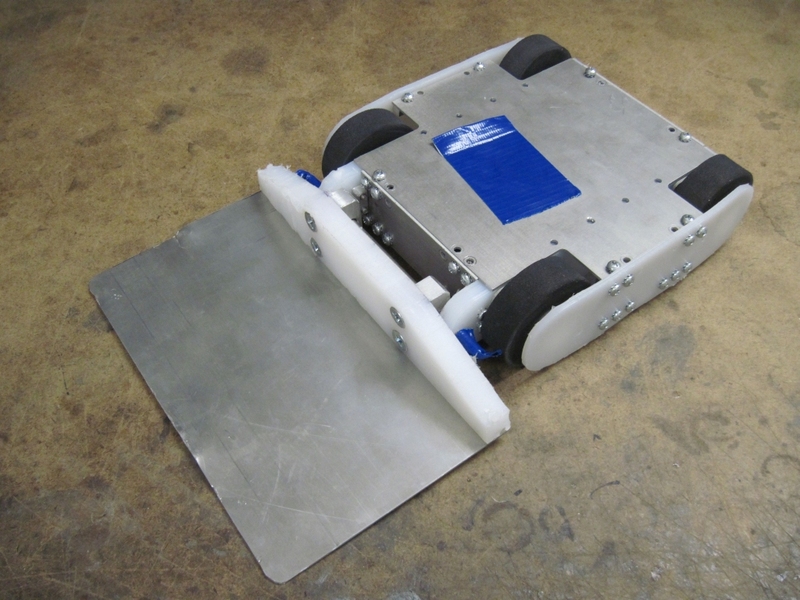 Wedge shown is one made for its first competition. 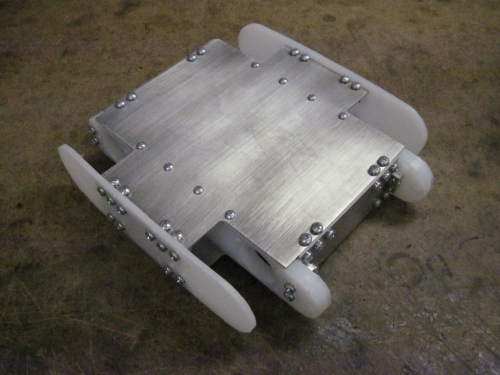 No wedge is supplied with the kit although kitbots can make one on request. Trilobite versus "Grande Tambor" 1st encounter.